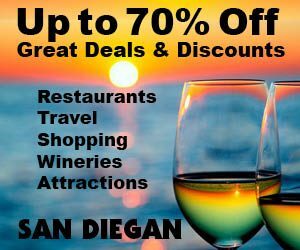 70% Off SAN DIEGAN – Best Seller! 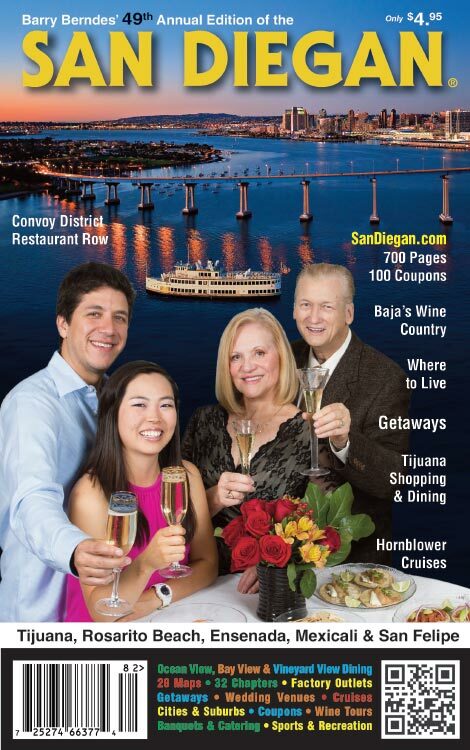 Barry Berndes’ SAN DIEGAN is San Diego’s most celebrated annual city guide to San Diego and Baja California Mexico. Featured on virtually all of the covers in print covers and online is a photo on the cover featuring Barry Berndes drinking champagne and toasting the city. This is now the 49th annual edition. Thus, it’s an essential resource and a keepsake enjoyed by millions of newcomers, visitors and residents since 1969. 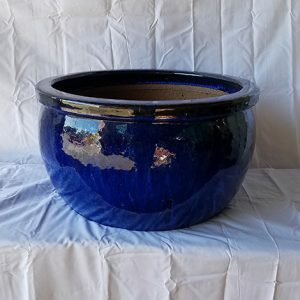 Prices at 70% off, this one of the best San Diego daily deals you will ever find. It retails for $4,95 on newsstands throughout San Diego County and regionally. Plus, they off FREE shipping. 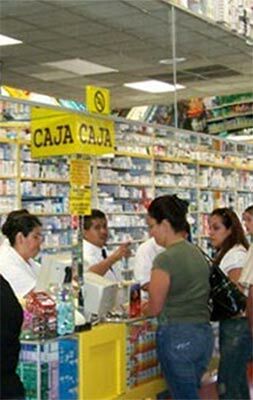 It’s another Best San Diego Deal that can’t be beat. What makes the SAN DIEGAN City Guide so valuable is that virtually every item in both the print and online version contains personally researched and reviewed content based on the print version of Barry Berndes’ SAN DIEGAN, who appears on the cover of all of his books. With his name on each edition along with his photograph represents his personal recommendation for where to dining and what to do in San Diego and the region. 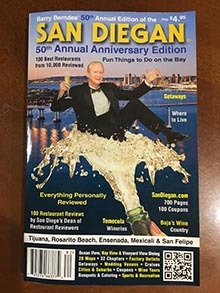 Since 1969, Barry has been engaged in writing the “Honest Guide” to San Diego, by reviewing every aspect of his hometown including dining in 5,000 restaurants. What’s unique about his personal recommendations is that he goes unannounced, pays for his own meals and even inspects the kitchens of each restaurant he reviews. His personally researched restaurants is your assurance that you will receive the same experience he enjoyed. With over 5 million copies in print, he has gained international recognition with numerous on-air TV and radio interviews and numerous articles written about him. As a result, 21,000,000 million locals, newcomers, and visitors actively follow his recommendations annually online and in print, and so should you. While the online version is a great digital resource, having an autographed copy is both a great souvenir and a keepsake, because it’s original digest-sized format is still sought after and used by 7 million hotel room guests visiting San Diego hotels. Thus, you know it’s got to be a slightly better resource than the digital version. This is because people who do not know San Diego enjoy its formatted chapters with individual maps and map numbers tied to where each place is located in the text. Thus, users can navigate the city with easy because of its unique formatting, enjoyed by millions of newcomers, visitors and residents annually since 1969. It can currently be found in 21,000 hotel rooms in San Diego County and Tijuana Mexico. Plus, it’s sold on newsstands in San Diego, Riverside County, and Orange County. 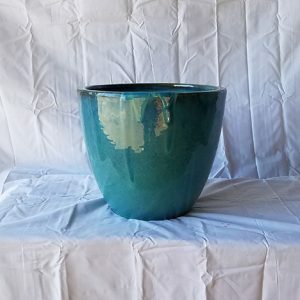 With such a broad circulation, it’s a testimonial as to its popularity. So get your autographed copy while supplies last as only one edition is published annually. Some collectors have a complete set of all 49 annual editions. 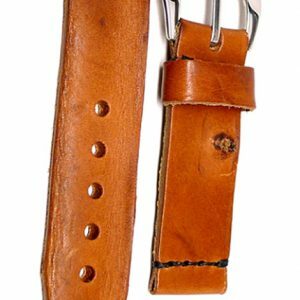 Start your collection of one-of-a-kind pieces of cultural history today. Since only one edition is published a year, why not purchase several copies as gifts for friends and relatives, who would certainly enjoy reading it cover to cover. This one San Diego Daily Deal that can’t be beaten.